Delta imanager - cyber threat analytics, monitored 24 x 7, 365 days a year. 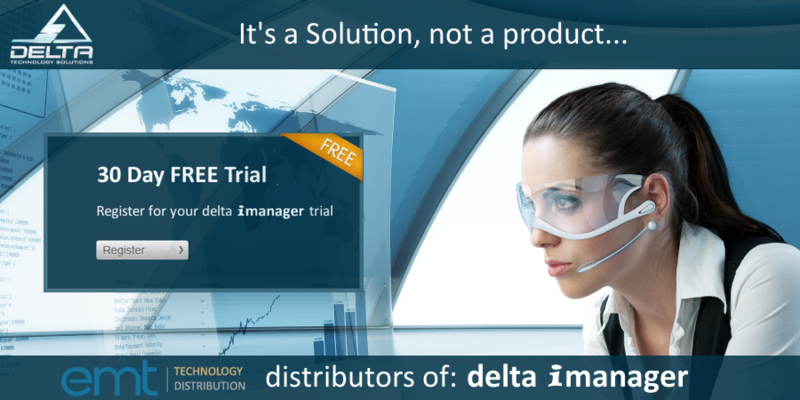 Delta imanager does more than monitor and manage. Delta imanager gives you world class network performance and cyber threat analytics, pin point alerting and reporting, 24 x 7, 365 days of the year. Delta imanager is monitoring as a service – at the top of its game. Through big data analytics, foundation of artificial intelligence, and the human over-watch element, Delta imanager is able to process millions of data points every day to deliver a clear and concise understanding of what is normal, and what is not. From actionable intelligence and remediation on hardware and software issues to cyber security protection and cyber threat analytics , Delta imanager has been helping managed service providers and IT admins deliver premium customer service for over 10 years. Monitoring, management and remediation – imanager helps you maximize up time, system performance, continuity and security. Big data analytics – imanager takes complex volumes of data and turn it into meaningful, coherent and actionable information. Foundation of Artificial intelligence backed by human monitored event notifications (Symbiotic Intelligence) – ensures you don’t miss a critical system or security event and don’t get flooded with irrelevant noise. Real time actionable insights into network issues, performance and security issues, in easily digestible alerts and reports – imanager reduces the effort you need to act on business critical issues. 24 x 7 x 365 days a year – Delta never stops, even when everyone else has gone home.